Teenagers take ownership of and deepen their faith through Bible study, Scripture memory, devotionals throughout the week, and conversations about current events, friendships, family relationships, peer pressure and career and future goals. The Rock is an eight-page resource and contains a Bible study for use during the lesson. 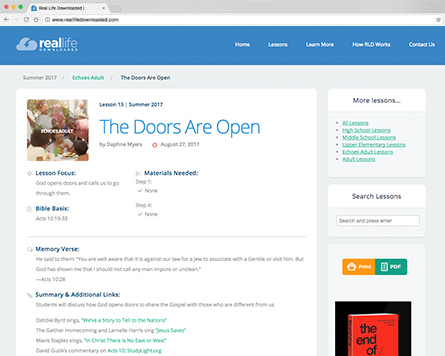 The lesson focus is presented in a variety of creative ways through non-fiction and fiction stories, stories written by preteens and teens, how-to articles, puzzles, surveys, and more. 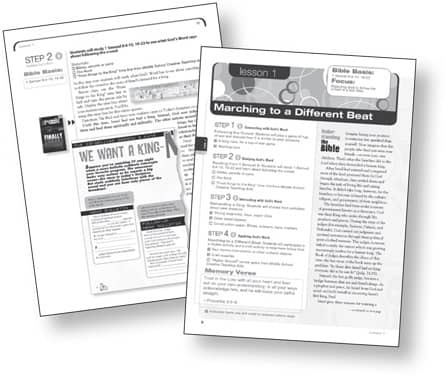 Each 13 lessons contain step-by-step instructions to help teachers prepare and teach. Includes Understanding the Bible and Understanding Your Students tips for teaching middle schoolers, pre-session activities, and a variety of activities to help students learn and apply the Bible lesson. Posters, cutout pieces, worksheets, games, and other aids increase middle school students’ interest and make Sunday school lessons come alive. 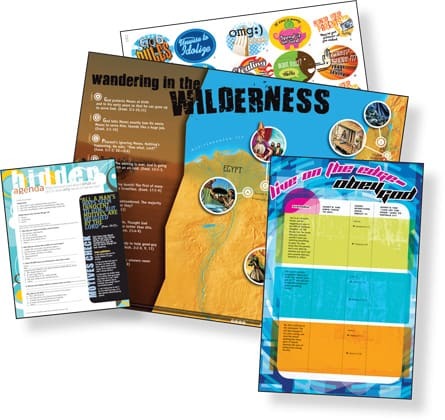 The high-impact visual displays help make Bible study even more exciting and memorable for your students. The Rock features a Bible study in each issue that you and your students study together in Sunday school. 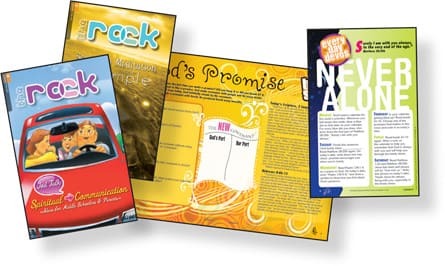 Also includes fiction and nonfiction stories, as well as fact sheets which reinforce the Bible study, plus devotions to keep students in God’s Word at home during the week.